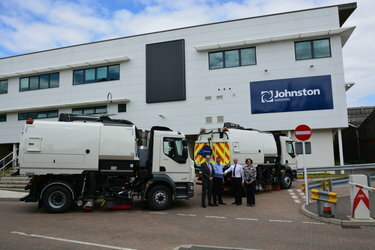 Refuse vehicle hire and maintenance company Collett Transport Services (CTS) has diversified into sweeper hire and purchased 4 new Johnston VT651 Sweepers mounted onto 15t DAF chassis due for delivery in September. The new vehicles will complement CTS’s compact sweeper fleet already available for self-drive hire. As part of its fleet replacement programme CTS recently took delivery of four 2015 plate Euro 6 RCV’s from Dennis Eagle.